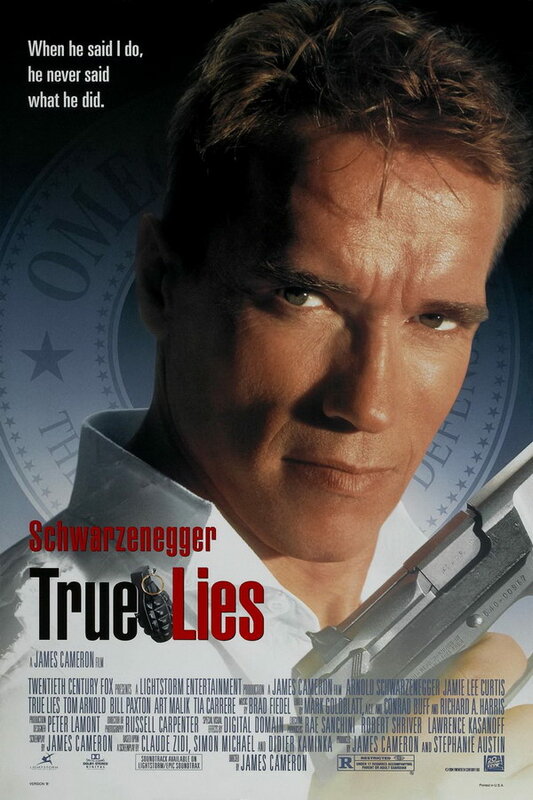 True Lies font here refers to the font used in the poster of True Lies, which is a 1994 American action movie. The movie tells the story of Harry Tasker, a secret agent, who is forced to reveal his long kept identity to his wife and stop nuclear terrorists when he and his wife are kidnapped by the terrorists. The movie title in the poster is probably set in Helvetica Ultra Compressed, which is a commercial font designed by Max Miedinger. You can view more details and purchase the font here. The Helvetica font identified above is not available for free, please follow the link above and purchase the font. Meanwhile, you can take a look at our collection of fonts for cars, pop music and apparel as well as round-ups of new & fresh fonts around the web. In addition to True Lies, Helvetica typeface is also used in the following logos, movie posters or album covers etc., including: The Dirties, American Airlines, 3M, Adult Swim, Funimation Logo, Saving Private Ryan, Def Jam Recordings, Catch Me If You Can, Streets of San Francisco (TV Show), TV Land Logo, America’s Next Top Model, Bernie, Dancing with the Stars, Entourage, Dollar Tree Logo.